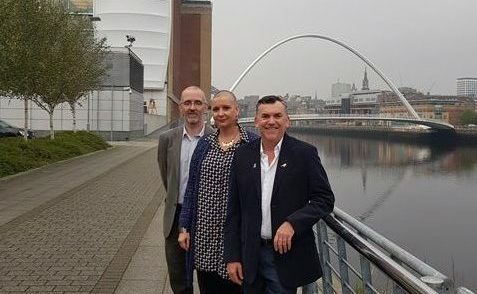 Transplant Australia CEO Chris Thomas has visited NewcastleGateshead in the UK as part of his voluntary role as President of the World Transplant Games Federation, for three days of talks on the 2019 World Transplant Games. A focus of the talks include looking at ways to keep the costs down for participants, and reviewing accommodation, sport, transport and logistics. On the review trip is World Transplant Games Federation Treasurer Colin White and Executive Manager Kim Renyard. NewcastleGateshead was announced as the winning bid for the 2019 World Transplant Games in July 2016, kicking off more than 2 years of preparation.